Khal Rasdam is a semi-retired business consultant who enjoys traveling and writing. He spent four years living in London. Buckingham Palace is a grand palace and the residence of Queen Elizabeth II and her consort Prince Philip while in London. 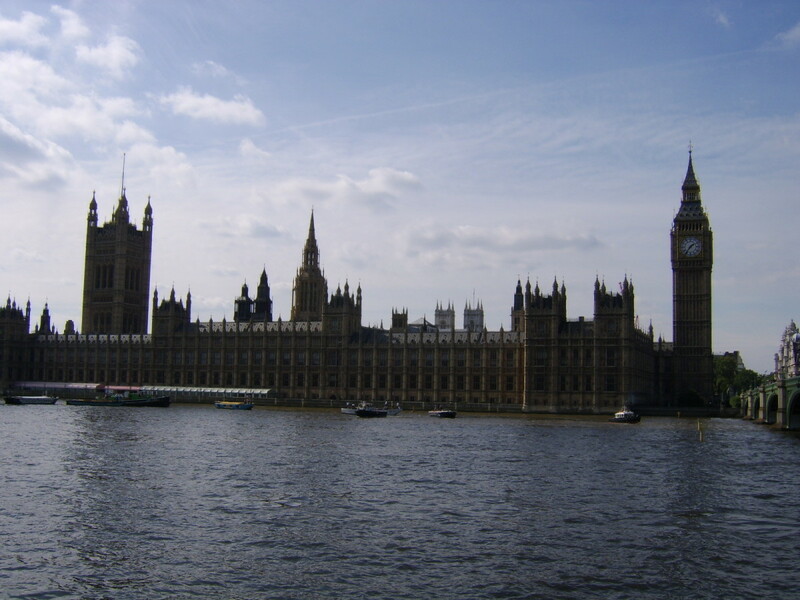 Located in Westminster, the palace is a huge building with over 700 rooms that include the State Rooms, offices, and bedrooms for not only the royal family and guests but also staffs working here. Buckingham Palace is the focal point of the British monarchy, the venue for royal receptions including garden parties, state ceremonies, and receiving dignitaries. 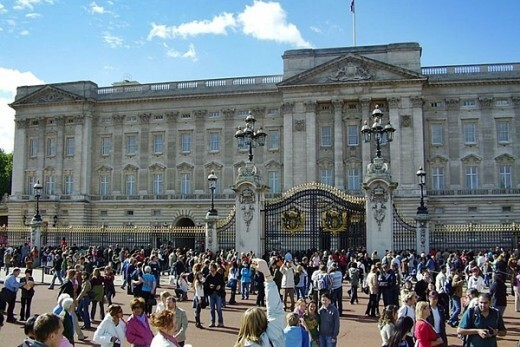 Buckingham Palace is a sought after tourist destination in London. 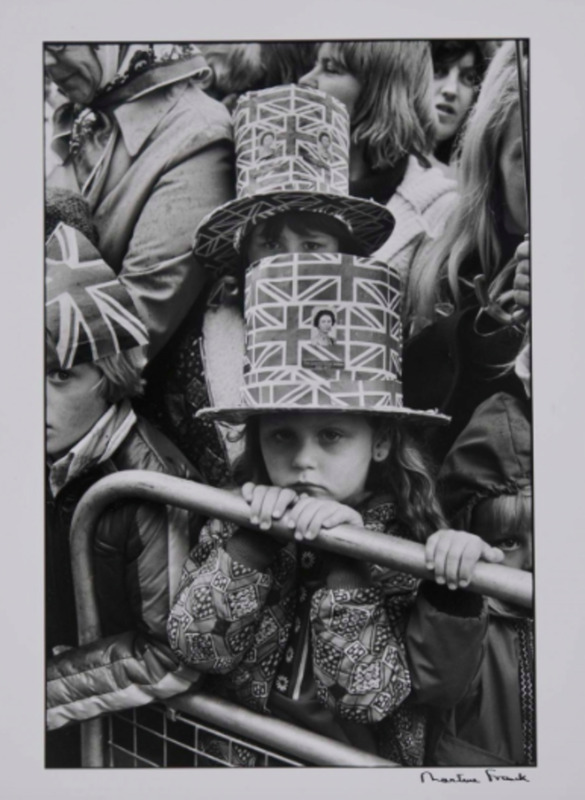 A royal icon that draws attention around the world, especially people fascinated with the British monarchy. The palace is also associated with the famous Queen's Guard, a contingent of soldiers in striking uniforms guarding Buckingham Palace. For 10 weeks in summer, the palace opens to visitors curious to see the grand interior and then pass the garden where the Queen holds her garden parties. 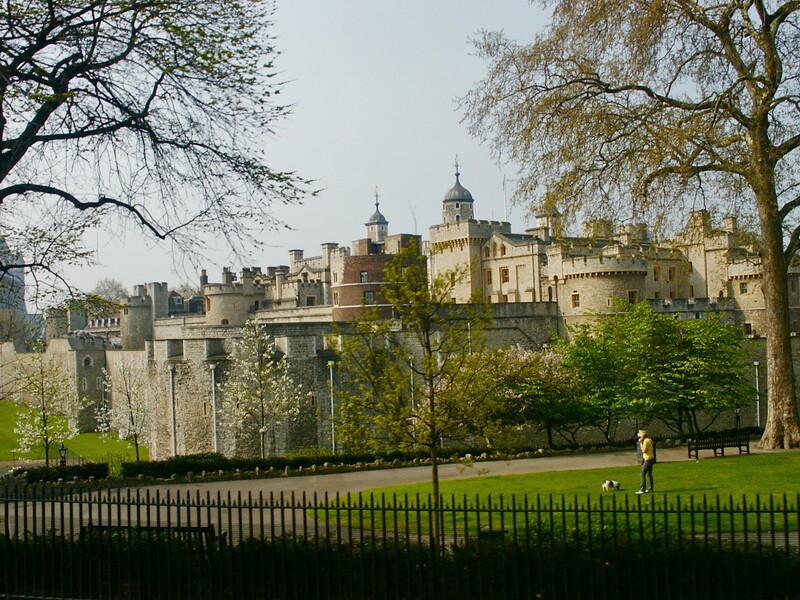 The official residence of the Kings and Queens in London from 1531 to 1837 was St James Palace, a distance not far from Buckingham Palace. The first building on the land where Buckingham Palace is located was a mansion called Goring House. Built in the 1620s and owned by Sir William Blake, a fire destroyed the mansion in 1674. Later, the Duke of Buckingham engaged the building of Buckingham House, which was a three-floor mansion completed in 1703. King George III purchased Buckingham House in 1761 as a private home for his wife and children, renaming the mansion as the Queen’s House. George IV ascended to the throne in 1820 and in 1826, engaged John Nash to expand and modify the mansion into a palace, and was to be the new royal residence. William IV became the new king after the death of George IV in 1830, and engaged Edward Blore to complete the work. Following the death of William IV in 1837, his niece Victoria ascended to the throne and her family became the first royal residents of Buckingham Palace. Further work continued until 1847 under Queen Victoria and King Edward VII redecorated the interiors during his reign from 1901-1910. 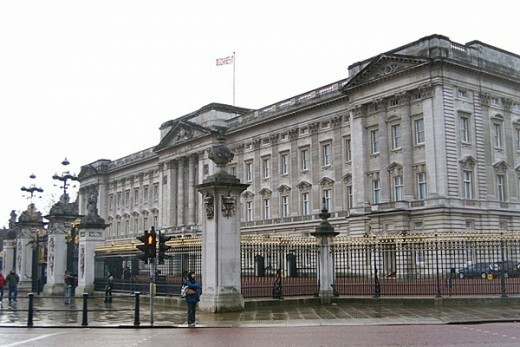 Today, besides being a royal residence, Buckingham Palace is also the administrative headquarters of the monarchy with over 90 rooms used as offices. Look over the palace fence and you can see soldiers of the Queen’s Guard standing at attention guarding Buckingham Palace. 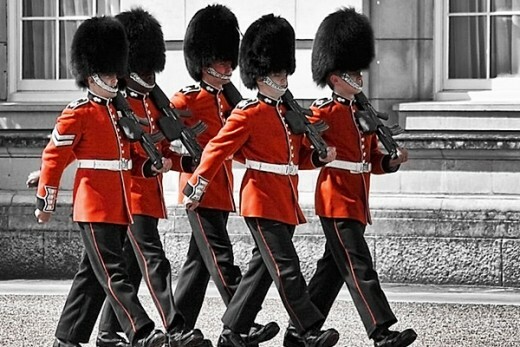 You can’t miss them in their striking red uniforms and tall bearskin hats - in winter and rainy days, the guards wear a gray cape over their uniforms. 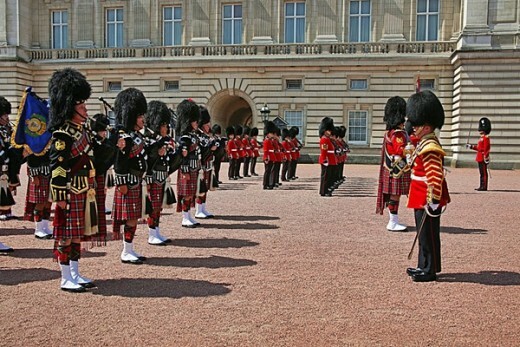 The Queen’s Guard has a long history and been guarding the palace since the time of Queen Victoria. 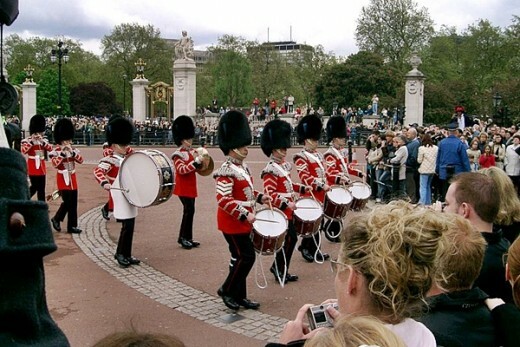 Each guard stands for two hours until replaced by another guard in the military fashion. Changing the Guard is an iconic military ceremony at Buckingham Palace that began in 1689 at Whitehall, then the royal residence. It involves a detachment of the New Guard replacing the Old Guard guarding the palace. In the ceremony, the Old Guard marches out to the Buckingham Palace forecourt while the New Guard headed by a military band marches toward the palace from Wellington Barracks. The exchange between the New and Old Guards at the forecourt is an elaborate event. The ceremony occurs daily in June and July but four times a week for the rest of the year. There’s always a crowd especially tourists. 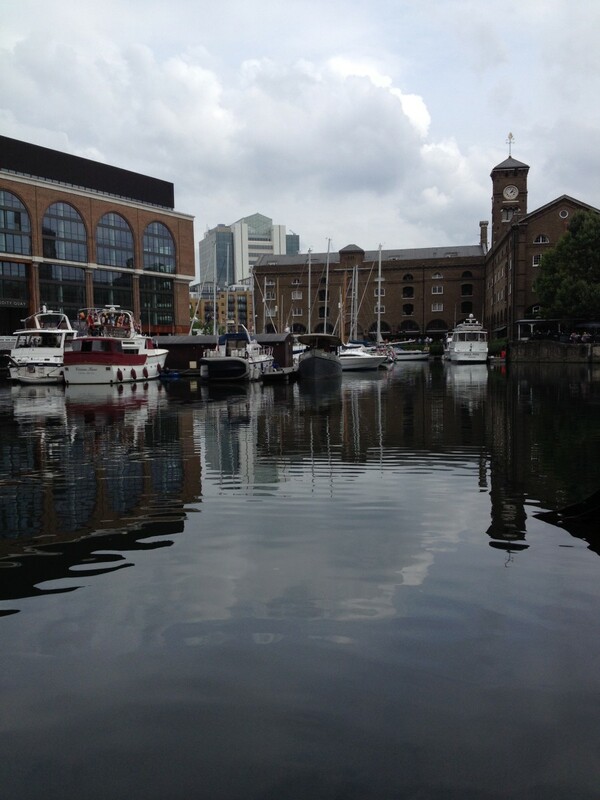 Come early and find a good spot (near the forecourt is best) for the 45-minute event. It starts at 10:45 am and the exchange takes place at 11:00 am. In August, you might not see the red uniforms since other regiments may take over the guard duty such as the Royal Air Force, Royal Navy, or even soldiers from the Commonwealth such Canada and Australia. Unless you get a royal invitation from the Queen, the only way to get an inside peek of the grand palace is to purchase a ticket for a tour. The State Rooms at Buckingham Palace are open to visitors for 10 weeks in summer (July-September), when the queen is not residing. There’s no dress code to enter the palace but there's an airport style security check before the tour and visitors reminded not to take photos while inside the palace. The tour takes 2 hours 15 minutes. Buckingham Palace has 19 State Rooms used for official occasions such as royal receptions, state ceremonies, and receiving dignitaries. The rooms reflect the lavish taste of King George IV featuring classic furniture, fine chandeliers and candelabras, exquisite carpets, and priceless works of art including sculptures and paintings. The artworks are part of the Royal Collection and include paintings by famous artists such as Rembrandt, Rubens, Titian, Vermeer, and Van Dyck. The tour begins by walking up the Grand Staircase, an elaborately designed staircase adorned with paintings and sculptures. The Throne Room is the setting for court gatherings, receiving loyal addresses, and formal photographs. Enter the Music Room and this is where the Queen receives dignitaries such head of states from other countries. 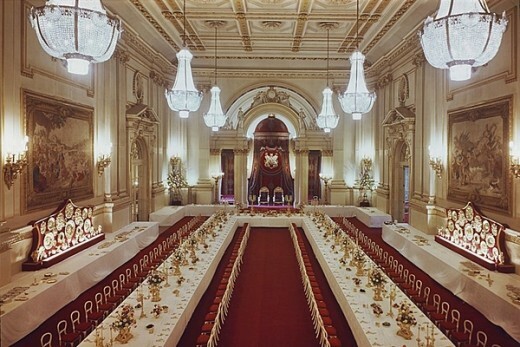 The luxurious Ballroom is the largest of the State Rooms and used for state banquets given by the Queen. Stucco columns, blue flocked wallpaper, designed carpets, and fine paintings decorate the Blue Drawing Room. 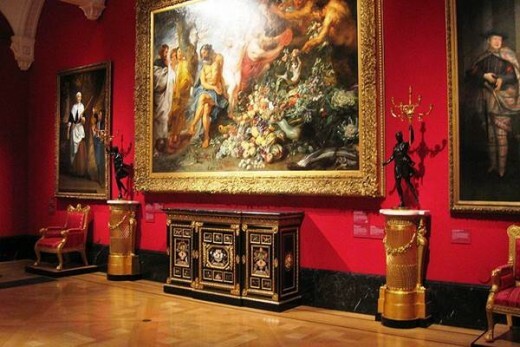 The Picture Gallery features paintings, which are some of the finest in the Royal Collection. The paintings on display changes regularly since they are often on loan for other art exhibitions. 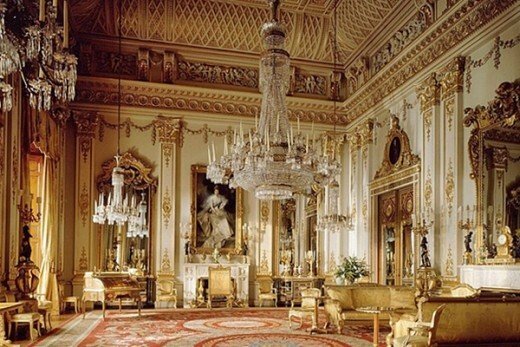 The most richly decorated and splendid is the White Drawing Room, used by the Queen to receive key guests or important dignitaries before moving to the other State Rooms. The tour of the State Rooms ends at the Garden Cafe, amidst a serene setting overlooking the palace garden at the rear end of Buckingham Palace. The garden is where the Queen holds her garden parties each summer that include not only prominent people but also selected members of the public. For those without an invitation for a garden party from the Queen, the Garden Cafe offers a range of refreshments. Enjoy a 500-yard (460 meters) scenic walk through the garden as you exit the Buckingham Palace ground at Grosvenor Place. You can also purchase a combined State Rooms and garden ticket for a 45-minute tour around the garden. 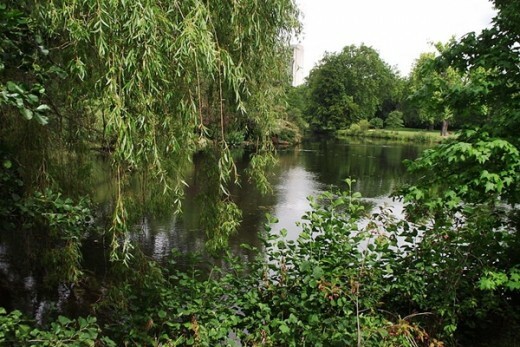 The tour passes by wooded areas, scenes of wild flowers, shrubberies, a lake, and a rose garden. Unlike the palace building, you’re welcome to take photos of the garden. 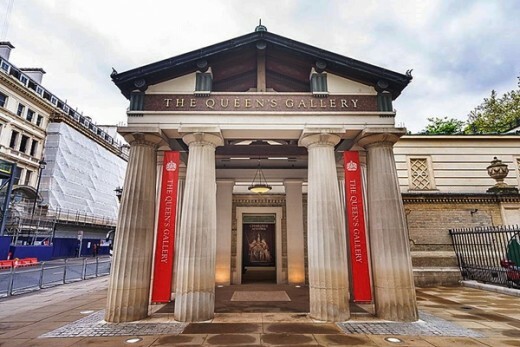 The Queen's Gallery is a small art gallery featuring exhibits from the Royal Collection. You need to purchase another ticket to enter the gallery. If you don’t want to spend money on the Queen’s Gallery, there are several free art galleries in London, which are highly acclaimed. 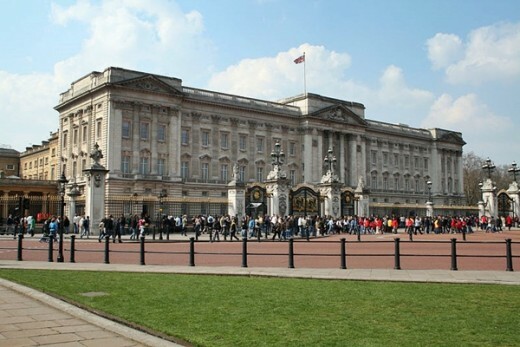 If you don’t mind spending, you can find the Queen’s Gallery located on the southwestern front of Buckingham Palace. Displays from the Royal Collection are constantly changing with fresh exhibits every 4-6 months. At any time, there are about 450 artworks on display. Art from the Royal Collection are not the personal property of the monarch but held on behalf of the nation by the Royal Collection Trusts. Exhibits from the Royal Collection include paintings, sculptures, drawings, watercolors, and prints. There are also exhibits of decorative art, rare furniture, and jewelry. Masterpieces include paintings by Van Dyck, Canaletto, Clouet, and Rubens. The State Rooms and the garden at Buckingham Palace open daily for public tours for a 10-week period from July to September, while the Queen’s Gallery opens daily throughout the year. The last admission for the State Rooms is 1 hour 45 minutes and Queen's Gallery 1 hour 15 minutes before closing. You can purchase tickets for the attractions at Buckingham Palace from several travel websites, but the Royal Collection Trust (a charitable body) is the issuer and responsible for the tours and art gallery. Purchasing tickets directly from the Royal Collection Trust allows you to treat the ticket as a donation to the body, entitling free subsequent visits for one year. To do this, get your ticket stamped after the first visit. The following are the ticket prices, subject to change. Note: Visit the Royal Collection Trust website for more information and updates such as events, announcements, visitor facilities, opening times, and tickets. Buckingham Palace is about a 10-minute walk from the London Underground St James’s Park Station (District and Circle Lines) and Victoria Station (Victoria, Circle, and District Lines). Another station is Green Park Station (Jubilee, Piccadilly, and Victoria Line), which is about 15 minutes walking distance. 4 months ago from Penang but occasionally traveling. I visited Buckingham Palace several years ago. I would highly recommend it. Thanks Poppy. Interesting that you mentioned your dad was part of the Queen's Guard. Have a good stay in Japan. This is a great article full of useful information. People writing about tourist attractions sometimes forget to include things like opening times and prices. I've only been to London twice and they were both day trips with my mum, so we never saw Buckingham Palace beyond spotting it at the end of the road. When my father was in the military he had to work for a few weeks as part of the queen's guard. I imagine it was a difficult job.